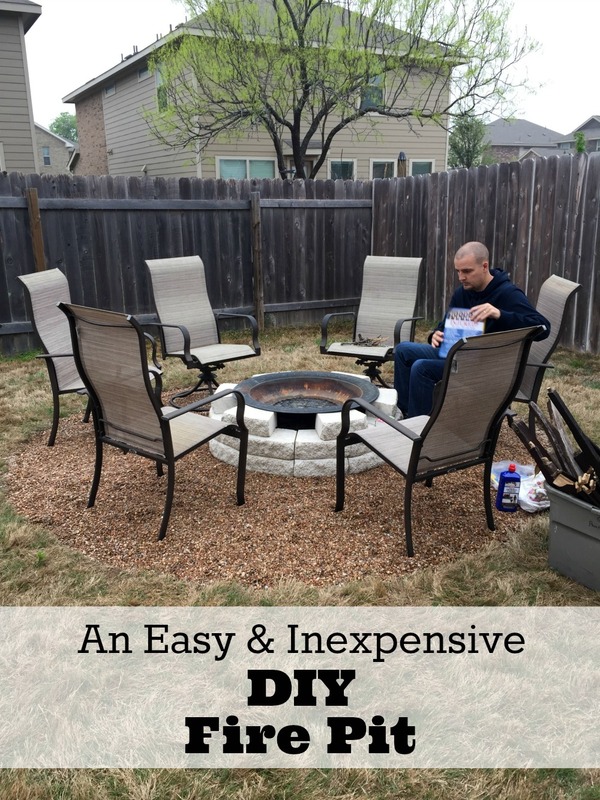 Are you looking for some fire pit ideas so you can enjoy time outside in front of the fire this summer? One of my most favorite things to do is gather up some s’mores supplies, pour a glass of wine, and sit by the fire chatting and just enjoying life with our family and friends. 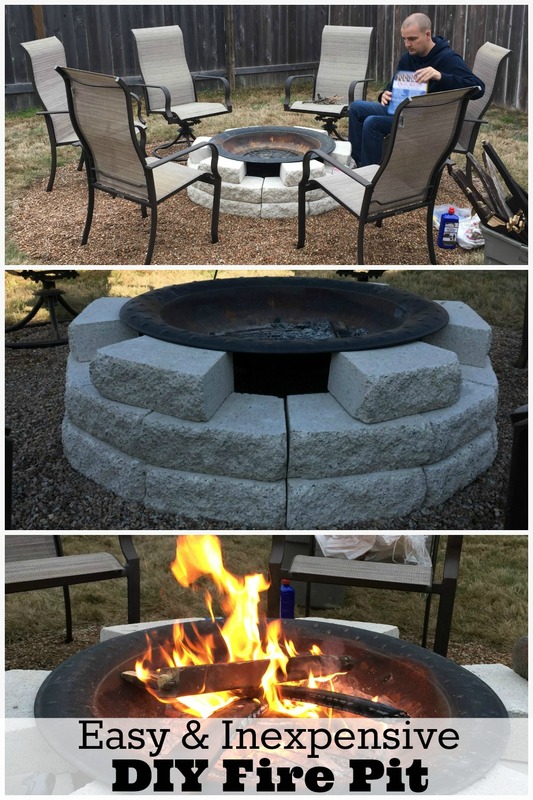 The only problem was we didn’t have a nice fire pit space. Until now! 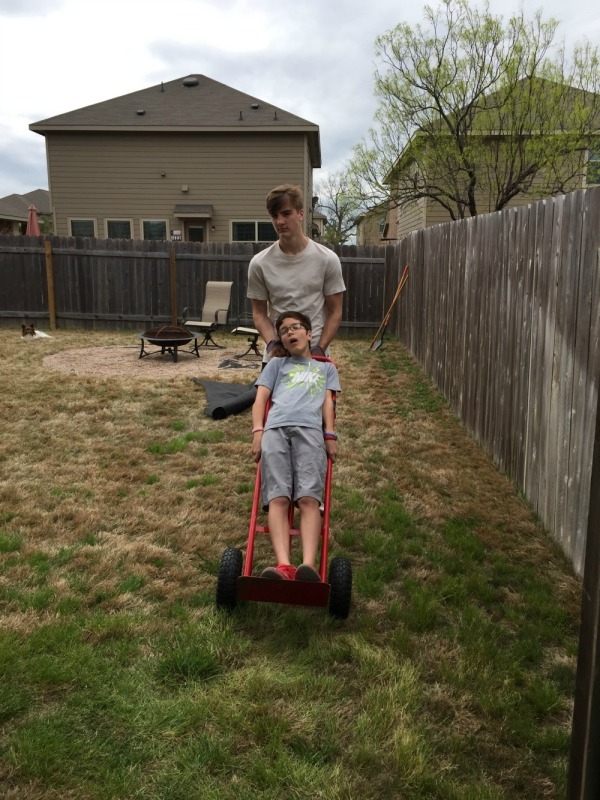 We woke up Saturday morning and decided to tackle a DIY home project. 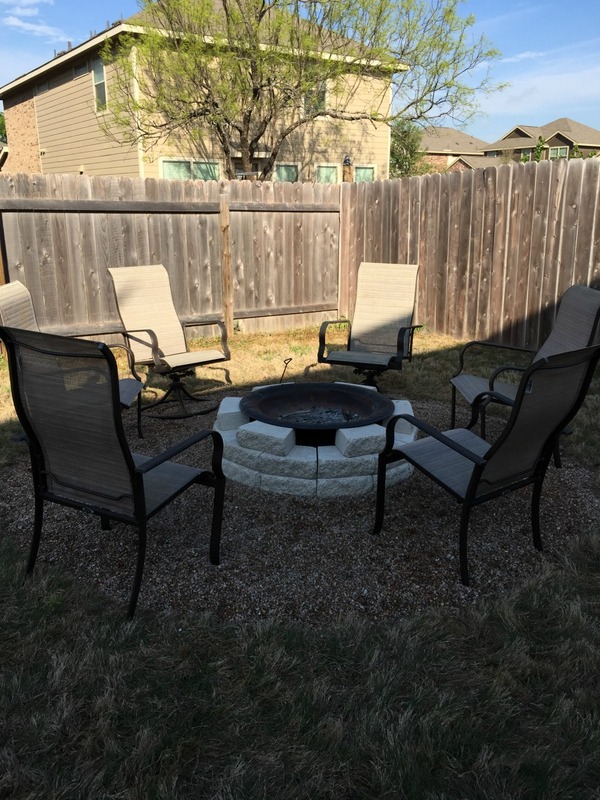 Our yard is a blank space and this corner by the fence was the perfect area for our fire pit. Here’s how we did it. First, we spray painted a circle using a screw driver, rope and a can of spray paint. Say what you ask? My husband drove a screw driver into the ground in the middle of where we wanted our fire pit. He then tied a rope around the handle of the screw driver, measure off 5 feet of the rope and tied the other end of the rope around a can of spray paint. He then walked in a circle and sprayed as he went. Voila! 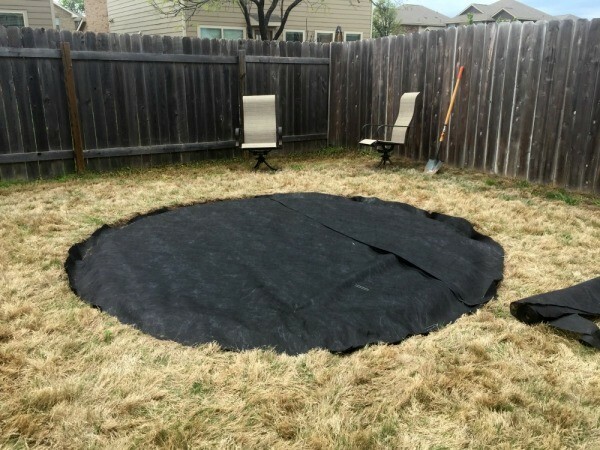 A perfect circle to dig for our fire pit. After that, we got to digging. 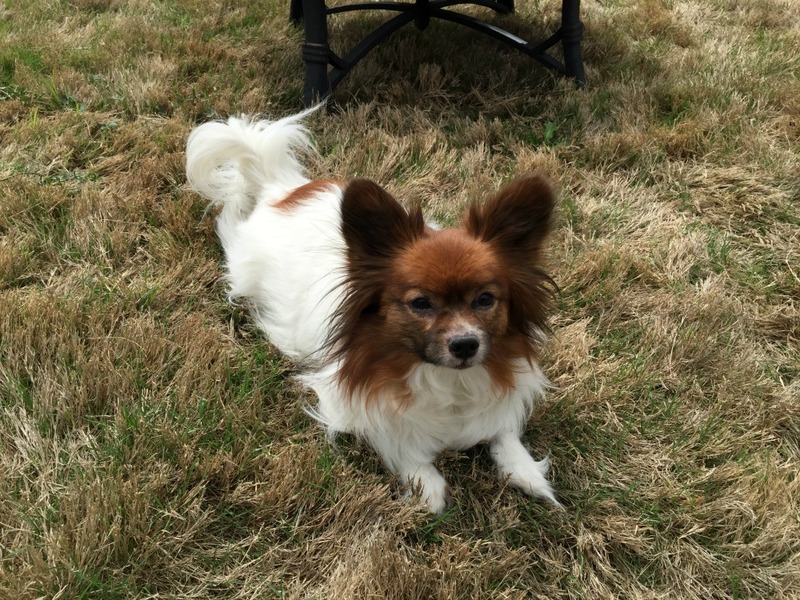 Since our grass was pretty much already dead and we’ve had quite a bit of rain lately, it was fairly easy to dig up. 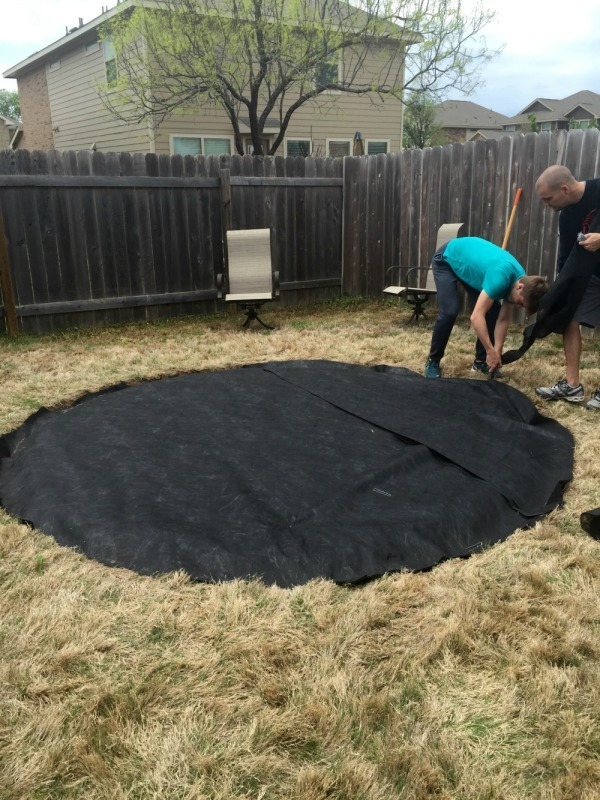 After we dig up all of the grass, we laid down two layers of weed barrier cloth. Next, it was time to spread the pea gravel. We purchased ours at Lowes, similar to this one. 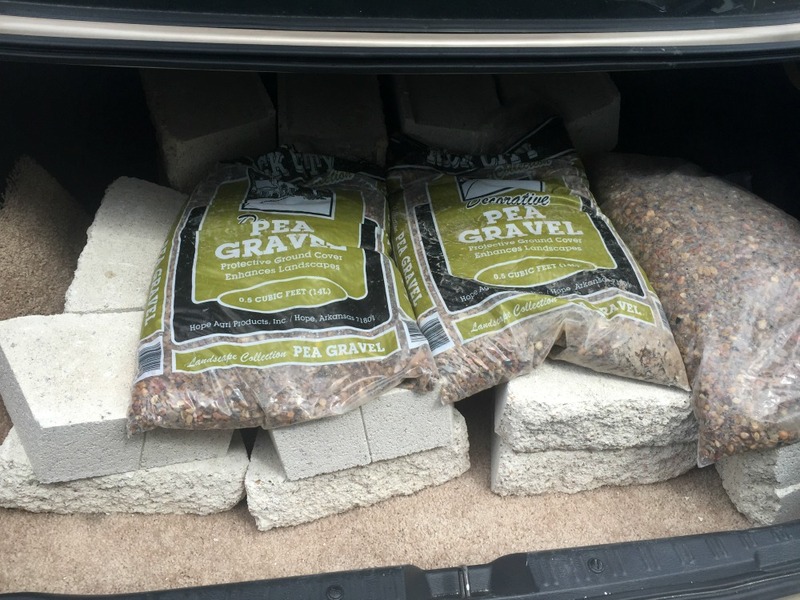 Here’s our trunk full of just a fraction of the pea gravel, as well as the stones we used. 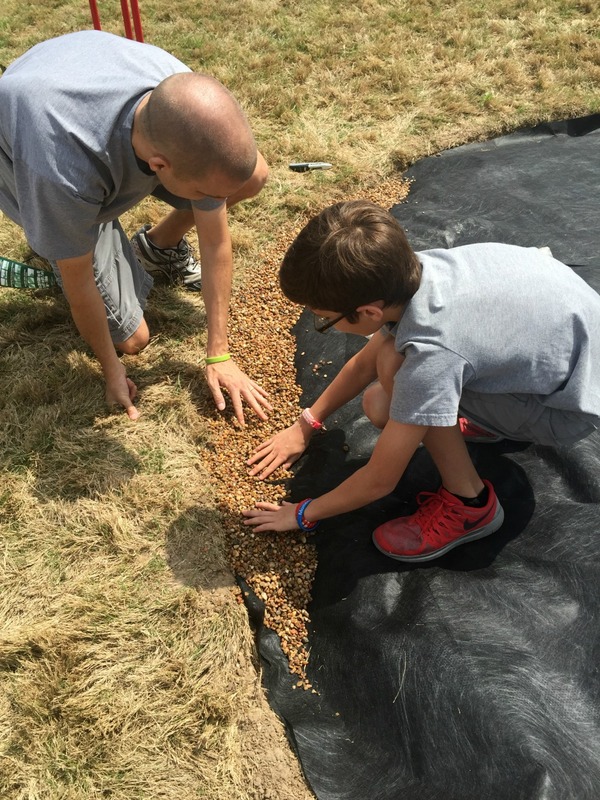 In all, we used 22 bags of pea gravel, but I think we could have used a few more. Here’s the beginning of the process. Here’s what it looked like before we set up the stone for the fire pit. You can see it in the background behind our boys who were having a bit of fun with the hand truck. 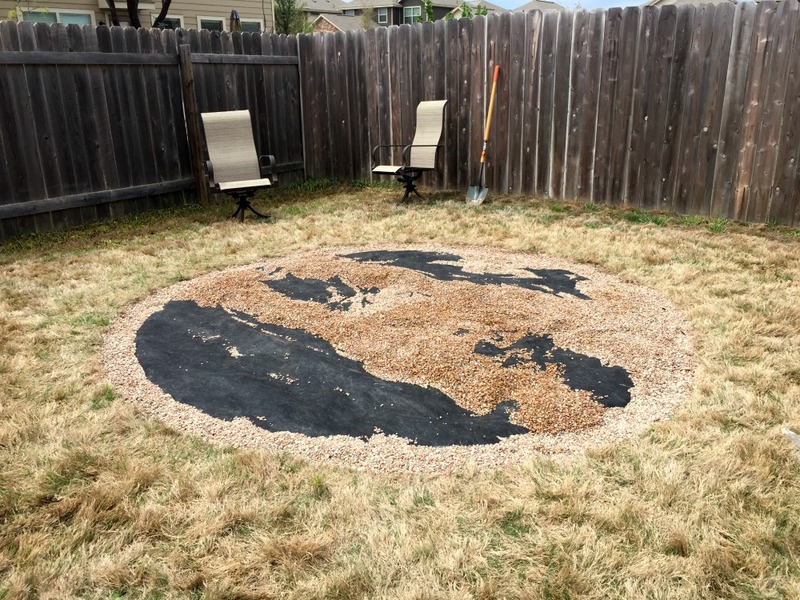 After the pea gravel was all laid, my husband set up the stone. 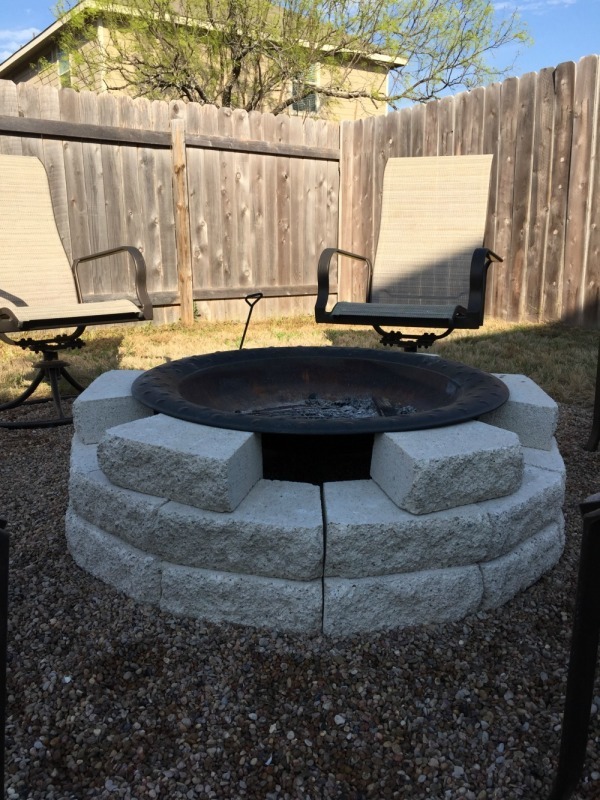 We used white flag stone for our fire pit, similar to this one. We ended up using our old fire pit bowl and just had to unbolt the legs off. We started with 30 flag stones, but may need to purchase more if we decide later on we don’t like the spacing on the top layer. We decided not to put any sort of border around the outside for now so people could easily move their chairs back if they need too. I think it blends nicely into the grass area. How much did we spend for this area that we’ll enjoy over and over again? Around $160. I see many nights by the fire in our future. Later we want to add a few tables in between the chairs and some pots of flowers to give it some great color.